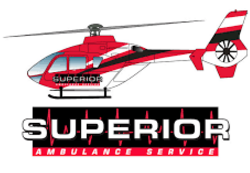 Metro Paramedic Services, Inc., a subsidiary of Superior Air-Ground Ambulance, Inc. contracts with municipalities to provide emergency medical services, clinical services and/or fire/rescue services. We are currently seeking Ohio EMT-B's and Paramedics to work in an occupational health clinic. LPN and/or nurses with EMT/Medic training are welcome to apply. HIRING NOW! for Full Time and Part Time positions. Only Full Time candidates are eligible for the Sign-On Bonus. The job includes obtaining appropriate patient care information, charting, and assessment in a clinical setting. Excellent written and verbal communication skills necessary to provide worker's comp paperwork/information used for billing purposes. Ideal candidate will have great interpersonal skills when interfacing with professional staff, co-workers, patients and their families. This position is responsible for clinic and pre-hospital care of the patient, including all necessary medical documentation. • Must have successfully passed Company's interview and training process.